TMS Editorials come from the desk of The Midnight Sun’s publisher, Jim Lottsfeldt, and are independent from this site’s daily reporting. The mantle has been passed. 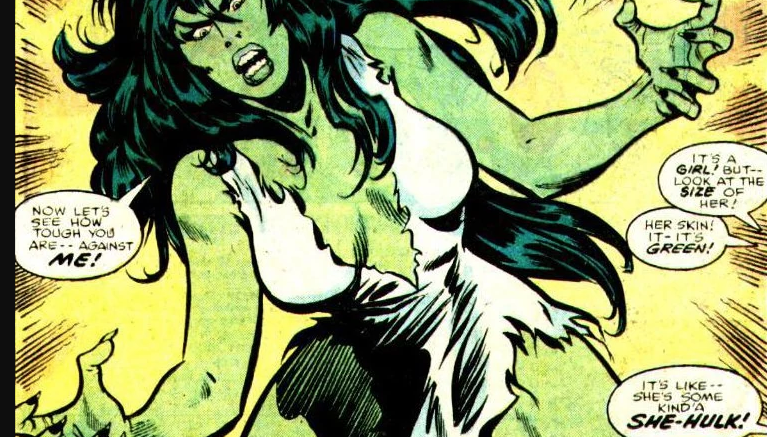 Alaska’s Hulk, Ted Stevens, has been reborn and she’s the She-Hulk, Lisa Murkowski. While her detractors are still infuriated that she was initially appointed to the U.S. Senate by her father, Frank Murkowski. Her friends, on the other hand, think this may be Frank Murkowski’s single greatest accomplishment; a moment of clarity and purpose that has paid off well for Alaska. Because the Incredible Ms. Murkowski is on a roll. In the past six months, Murkowski has captured the political center alongside Senator Susan Collins. The two Senators have forged an alliance that has realigned the political math needed to pass legislation and get things done. Both have called for the Senate to return to the days of hearings, discussion, and decorum. Together, they stared down hastily and, some would argue, sloppily made bills designed to gut the Affordable Care Act. Despite a great deal of misinformation being offered up on both sides of the aisle, the bill would have made healthcare more inaccessible and expensive for Alaskans who already have the highest healthcare costs in the nation, and for Murkowski, that was a bridge too far. Murkowski clearly did not relish being a target of President Trump’s attacking tweets as she denied him a victory in his war on ObamaCare. But she’s Frank Murkowski’s daughter—displaying the famous Murkowski stubbornness she inherited from her old man. She didn’t appreciate the tweets or the threats or the handwringing from the far right and far left. The storm raged around her, but in the end, neither she nor Collins backed down. They demanded Congress work toward a bi-partisan solution to fix healthcare, and abandon political posturing that would hurt all of her supporters—the left, the right, and the middle. This is familiar territory for her. Even in her early days in the Alaska State Legislature, she established that she would work across the aisle for the benefit of all Alaskans. A good example is the ire she drew from her caucus when in carrying all the water for Representative Harry Crawford’s stalking bill in 2000. Then came the tax bill, and she dismayed the left by demonstrating that she really is a Republican. The addition of ANWR in the tax bill caught many flat-footed. After decades of Alaskans working unsuccessfully to open ANWR, Murkowski got it done. It’s law—passed by Senate and House and signed by the president. Murkowski just accomplished a goal that even Uncle Ted couldn’t achieve, and his ability to provide for Alaska is legendary. The Marvelous Ms. Murkowski is not a fan of President Trump. She has defied him and drawn his scorn. Even so, she just accomplished two nearly impossible tasks—opening ANWR and the Izembek road–both with the support of Senate leadership and the President. She was also in the group that brokered an end to the government shut-down. She’s working closely with Sen. Lindsey Graham for an immigration solution for the DACA dreamers. Recently, she told reporters: “I don’t think we should be spending time trying to do repeal and replace of ObamaCare.” Alaskans should support her in this stance. None of the “fixes” help Alaskans. Murkowski has rolled up so many recent successes; perhaps Alaska Republicans are rightly still catching their breath. Whether the local Republicans realize it yet, she’s smashing her way through the Congress in a way that would make her mentor Ted Stevens proud. Murkowski is saying “to hell with politics, just do what’s right for Alaska” with her string of victories. 2 Comments on "TMS Editorial: Murkowski Smash!" Jim, great comments Alaska’s senior Senator Lisa. Thanks for writing them. We all should be very proud of her.